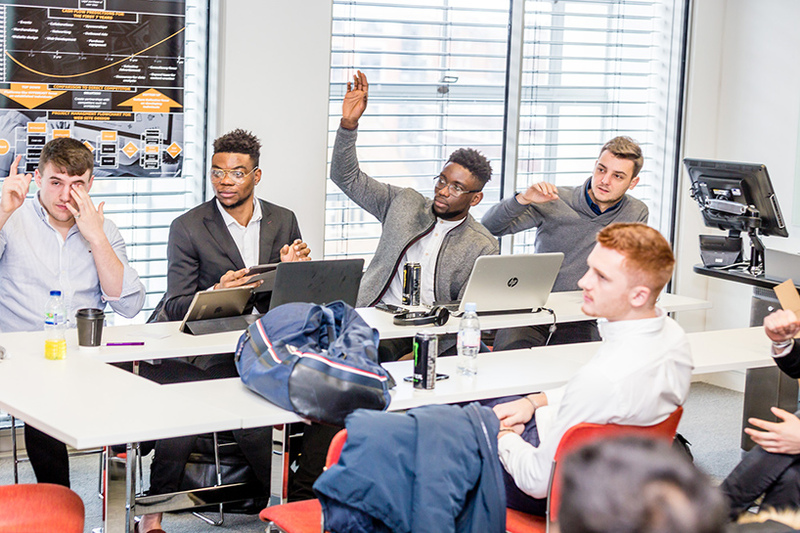 Testing their business pitching skills, students were challenged by module leader Kostas Galanakis along with their peers to present and further develop their skills and understanding of the issues that may face their business proposals. 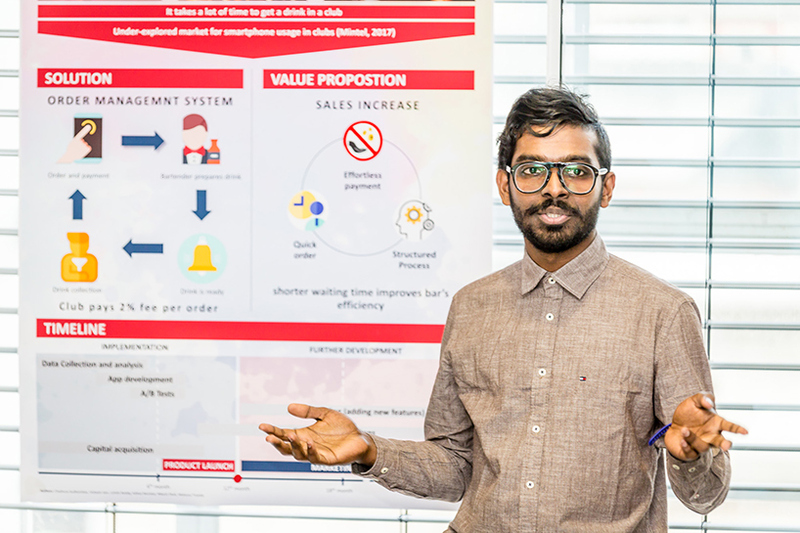 The activity was a key part of the module, Uncap Creativity & Innovation, which is designed to explore contemporary developments in innovation and assess how they shape the innovation process. 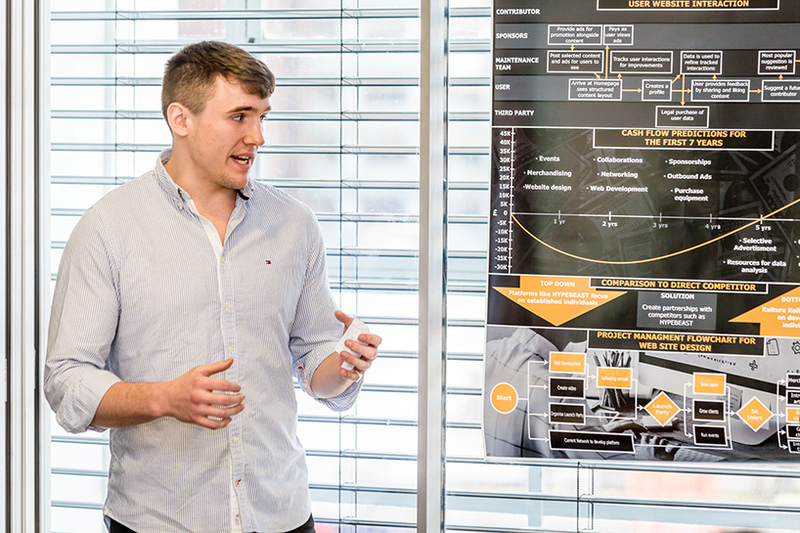 The students business ideas included, a camping app based on a similar business model used by Airbnb, the online marketplace offering short term lodging, a social community building platform bringing together like-minded young people, and a drinks ordering mobile app designed to decrease customer waiting time. 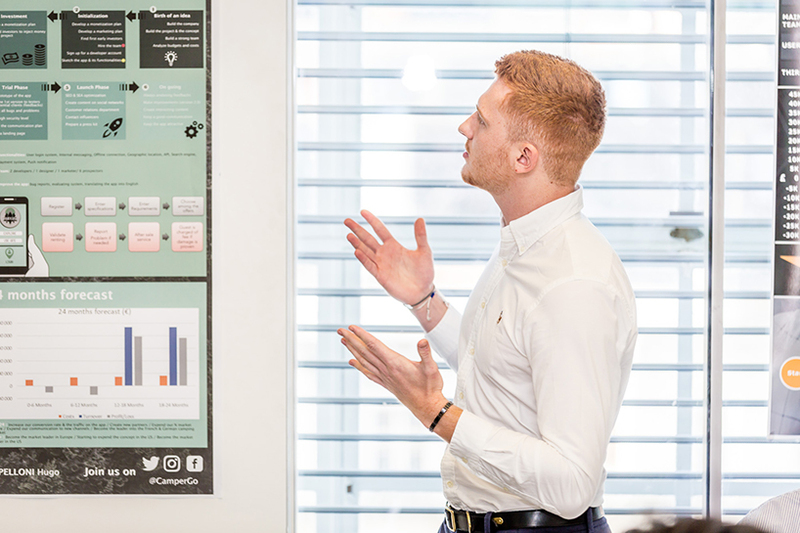 Another student who also presented his ideas, Jordan Freer, explained "The activity in particular really allowed me to explore in depth into finding where value is created, how to make that value stand out, and how to make it desirable to a customer. 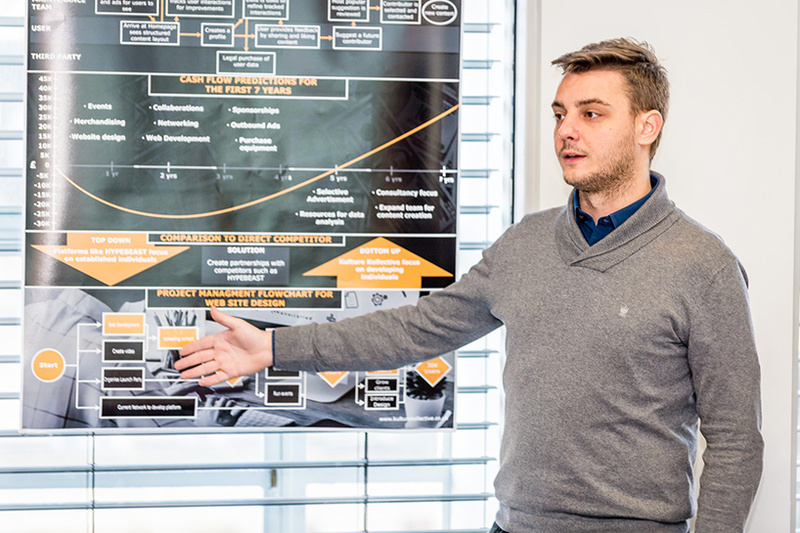 Other modules have covered this but not to this extent, and so in my future thinking I will definitely be taking this more in depth analysis into consideration to be more effective in my business positioning." 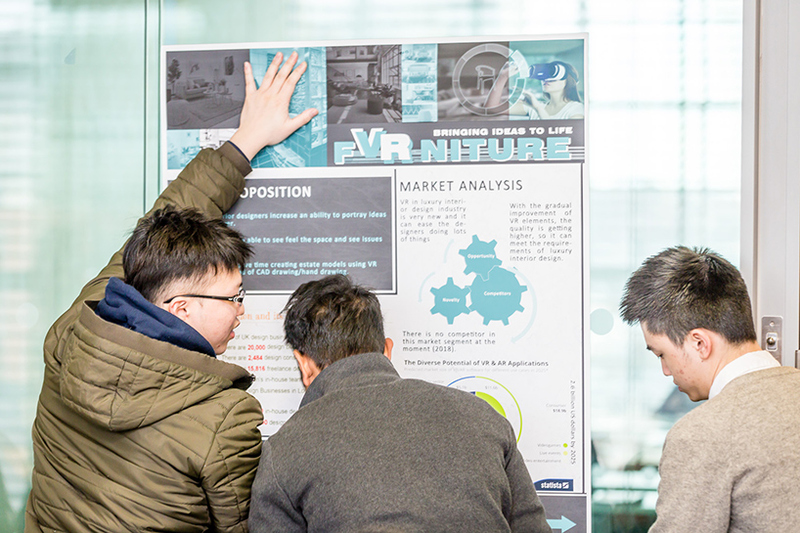 This type of presentation task is designed to makes students think and challenge them further to consider the things they may not have thought about when putting their business ideas together. 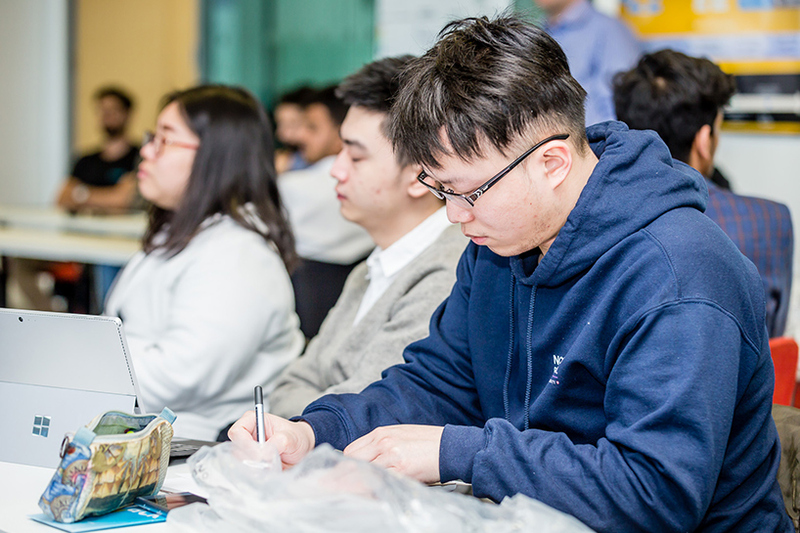 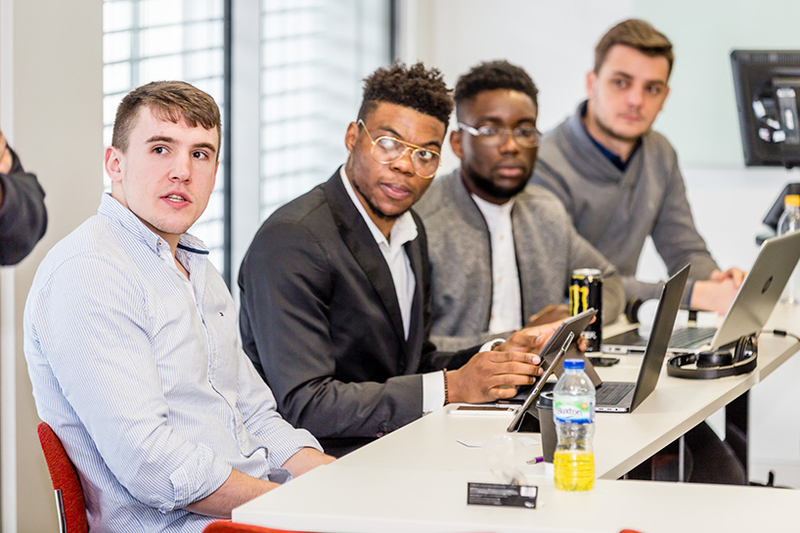 The module supporting this activity is one of the key modules within the MSc Entrepreneurship course and is also incorporated in other courses such as the MBA and MSc Management and Innovation & Enterprise. 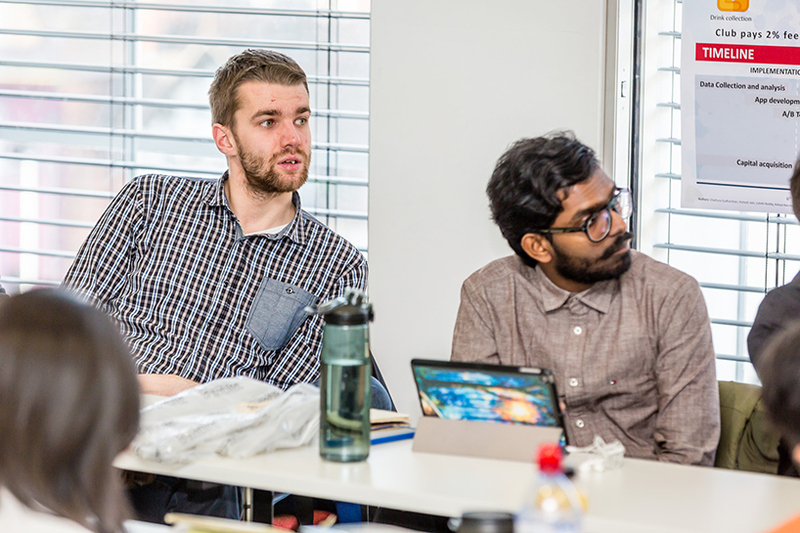 If you'd like to get involved in similar activities, visit our postgraduate course pages for more information.